No matter how you feel about it, listener-supported music is here to stay. Gone are the days of scraping pennies together to record and master an album in your mom’s basement. Thanks to social media and websites like Kickstarter and PledgeMusic, independent musicians can call on their fans from across the globe to lend a hand in the recording process–at least the financial side of things. For many fans, this new forum provides an affordable conduit to “back” a musician or band that they really love. In return for their donations, fans not only get to feel more connected to the music, but also typically receive some sweet personalized merchandise or experience from the musicians/bands. From signed lyric sheets to house concerts, musicians have a chance to get really creative with the lists of “prizes” for their backers. But here’s the kicker (no pun intended): If the project’s goal is not 100% met, backers get back their money and the musician gets nothing. It’s all or nothing, folks! As a fan who backs projects from time to time, there is something rewarding in making a contribution and following the progress of a campaign. Checking-in to see how much money has been raised and what prizes have been snatched up, along with receiving updates from the musicians themselves, can really be fun. Recently, I pledged $50 to Scott Miller and The Commonwealth’s new album, and was happy to learn that they have surpassed their goal, and I will be one of the first (among the other 334 pledgers) to hear the album once it is completed. 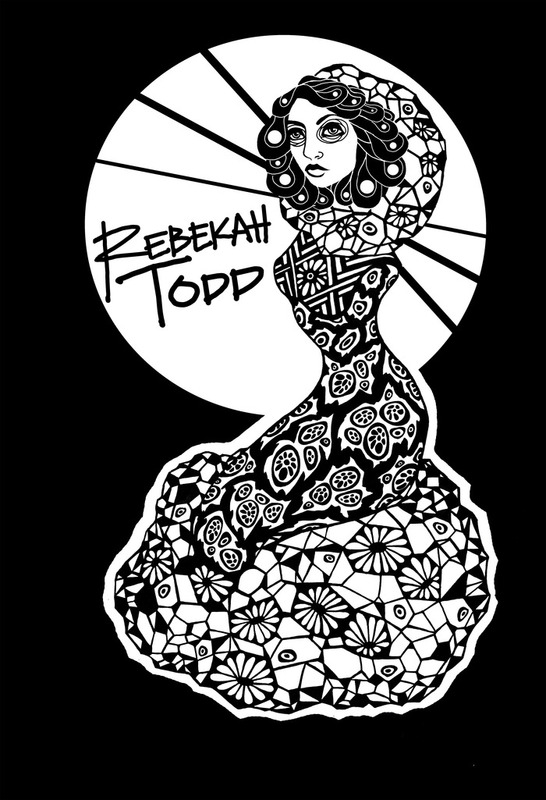 Currently, I am following Rebekah Todd’s Kickstarter campaign. Rebekah is gifted singer/songwriter/guitarist out of eastern NC who is gearing up to record her first LP at the end of July. I interviewed Rebekah last year, and learned all about her musical influences, which range from Susan Tedeschi to Lauryn Hill. Her music is dripping with a muggy southern soul that speaks to the trials and tribulations of life, death, love, heartbreak, and everything in between. There is an historic air in her songwriting that pays tribute to those who walked before her, as if perhaps she was born in the wrong century or recalling experiences from a past life. From her 2011 EP, “Forget Me Not“, Rebekah’s songwriting and performing has evolved, and she’s found a keen balance between the ghosts that haunt her and guardian angels that protect her. Her music–her voice–reaches into your heart and makes you feel not only her own joy and pain, but your own, as well. For me, that is what music is about, and why I believe that Rebekah’s Kickstarter is one to watch. Take a listen to her story, consider backing her project, and share with your friends.